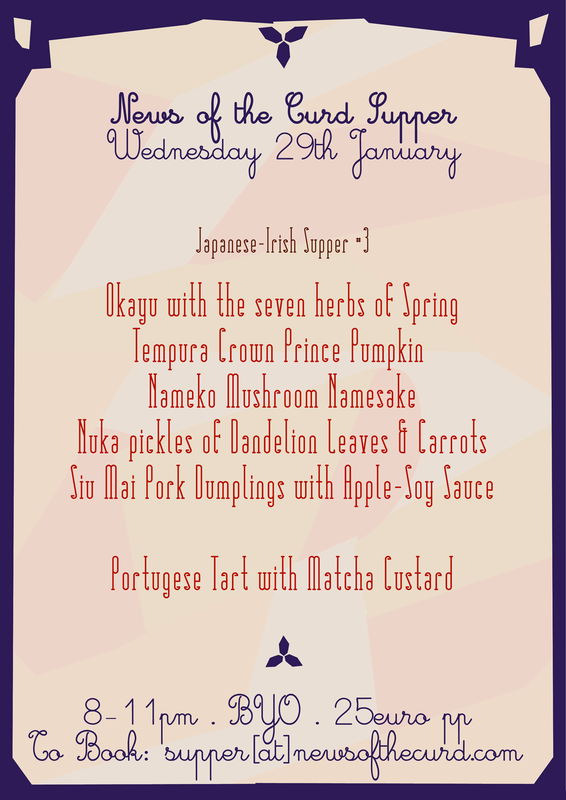 Here's this weeks take on our new Japanese-Irish fusion supper! Woop! We are getting some amazing Mushrooms and foraged food from the guys from Ballyhoura Mountain Mushrooms! Our nukazuke is fully up and running and putting out some amazing pickles! Spaces are limited so get in quick and we'll see you here!